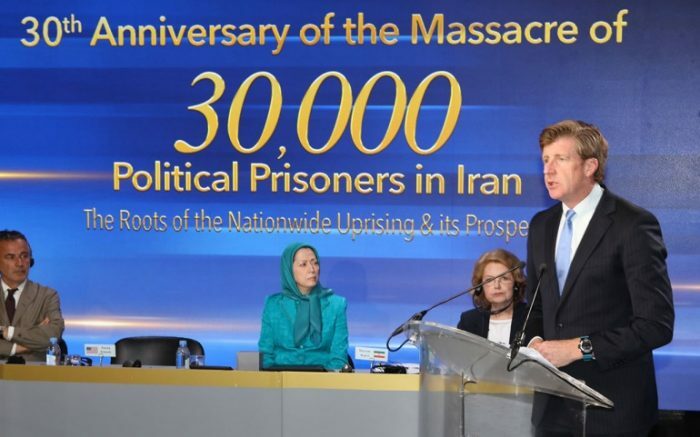 On December 12th, 2018, Patrick Kennedy, a former Democratic Member of the House of Representatives wrote a piece for the National Interest calling for sustained sanctions against the Iranian regime. Kennedy addressed critics arguments that sanctions hurt the Iranian people and masterfully illustrated how this is not the case. His piece, entitled “Sanctions Will Harm Only the Iranian Regime, Not the Iranian People”, begins with an assessment of the former Iran nuclear deal which, he argues, failed “to generate moderation in the behavior of the Iranian regime”. Under the deal, Tehran was able to continue stockpiling and testing ballistic missiles and expand its nuclear program unhindered. The financial windfall that the deal brought to the Iranian leadership was spent on oppressive mechanisms within Iran, and expanding the regime’s violent intentions abroad. “The cash windfall from the JCPOA [Iran deal] has been channeled solely into the pockets of the mullahs”, Kennedy said, “that money has done nothing to alleviate the poverty of ordinary Iranians”. Kennedy turns to history to remind the American people that the same fears have been raised before. In South Africa, during the apartheid era, opponents to sanctions raised fears that they would hurt the South African population and only add to their plight. But both Desmond Tutu and Nelson Mandela assured the West that sanctions would speed up the end of apartheid. It worked, and South Africa today has emerged from the shadow of apartheid stronger than ever. “The story is much the same with Iran”, Kennedy writes. “Many critics have suggested that new American pressure is harmful to both the people and the regime”, however, Kennedy suggests, “in reality, the protests and strikes in Iran’s cities have made it clear that the people recognize their economic hardships are rooted in the self-serving priorities of the mullahs, not international pressures”. This has been evident in the slogans on display during recent protests in Iran. The Iranian public have been chanting, “the enemy is right here”, and “they lie when they say it is America”. Despite the regime’s best efforts and continued dissemination of misinformation and lies, the public knows that the mullahs are the root of their financial troubles. “The ongoing crisis of unemployment, financial exploitation and currency devaluation began long before the new US sanctions or the US withdrawal from JCPOA”, Kennedy writes. Donald Trump has set meaningful change as his goal, a vision the Iranian public shares. The people of Iran have seen the effects of the West’s decades-long policies of appeasement to the mullahs. They have emerged from it no better off, and no more convinced that meaningful change can occur without a tough stance from the West. 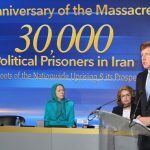 The Iranian opposition, the People’s Mujahedin Organisation of Iran (MEK) and its leader, president-elect Maryam Rajavi, declared 2018 a “year full of uprisings”. It believes that the determination and perseverance of the Iranian people can bring about meaningful change. However, the MEK has remained adamant that the US government and its allies have a role to play. They are looking to the West to offer support in the form of sanctions and diplomatic pressure, similar to those adopted against the South African government to bring about meaningful change there. “Sanctions will impede an unwanted regime’s ability to stave off an uprising by a long-suffering people desiring freedom and democracy”, Kennedy concluded.